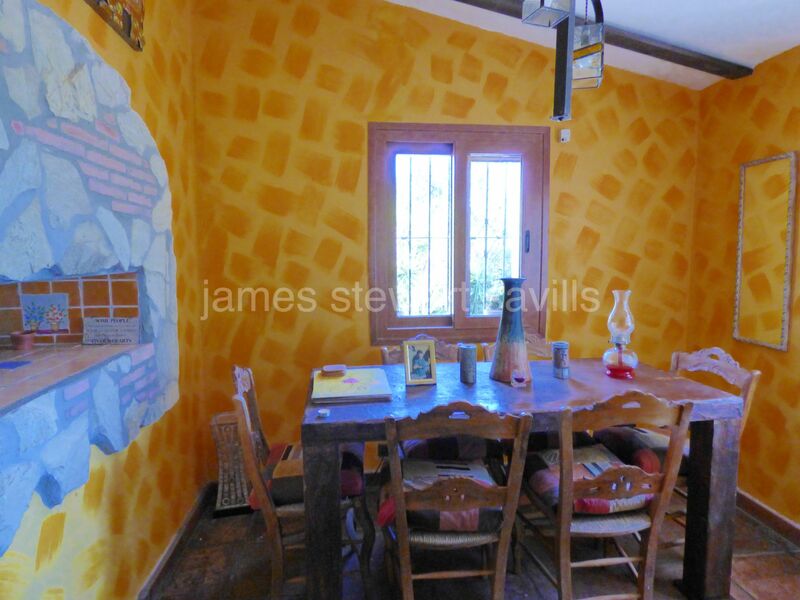 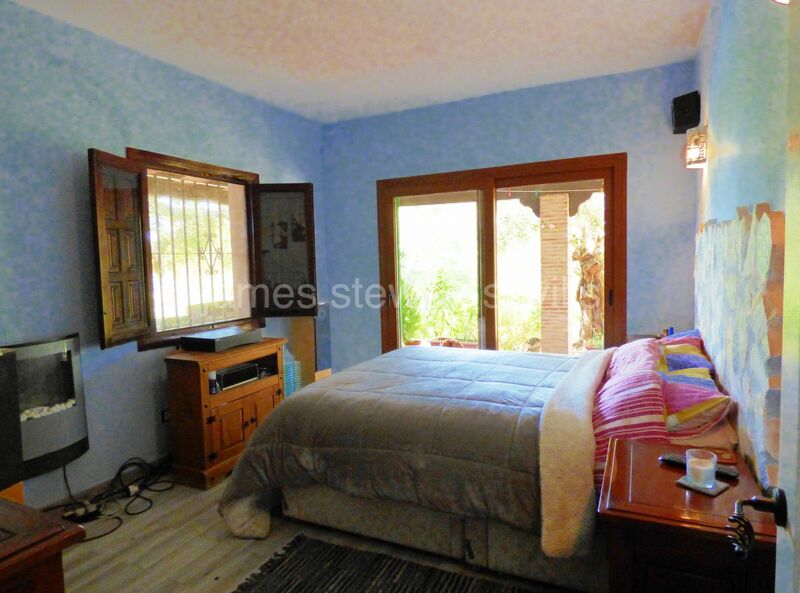 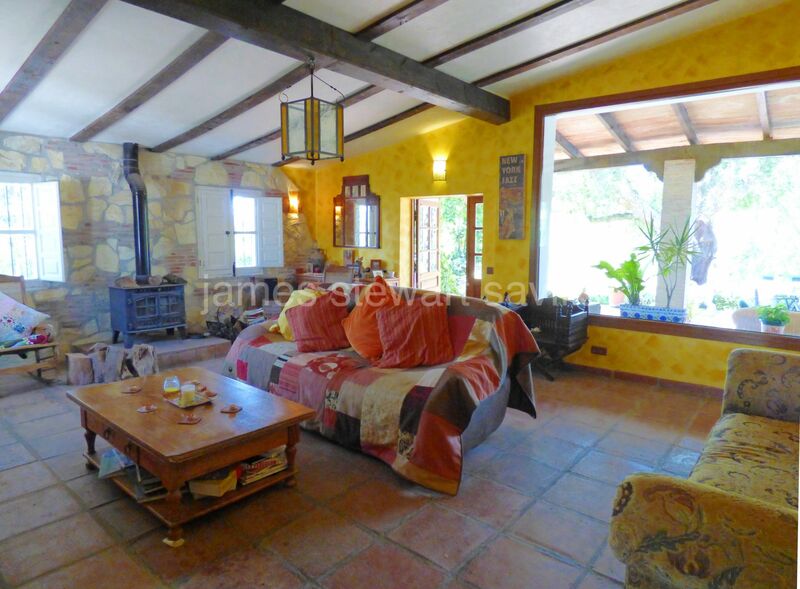 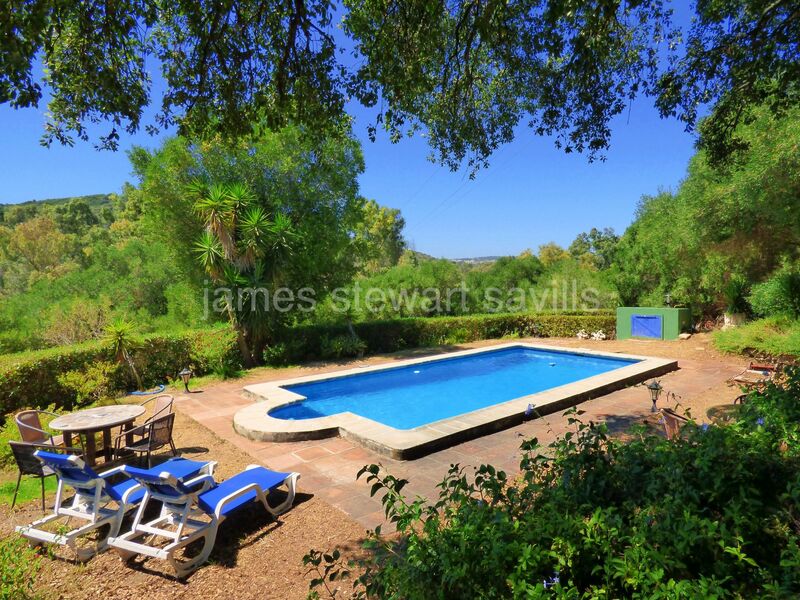 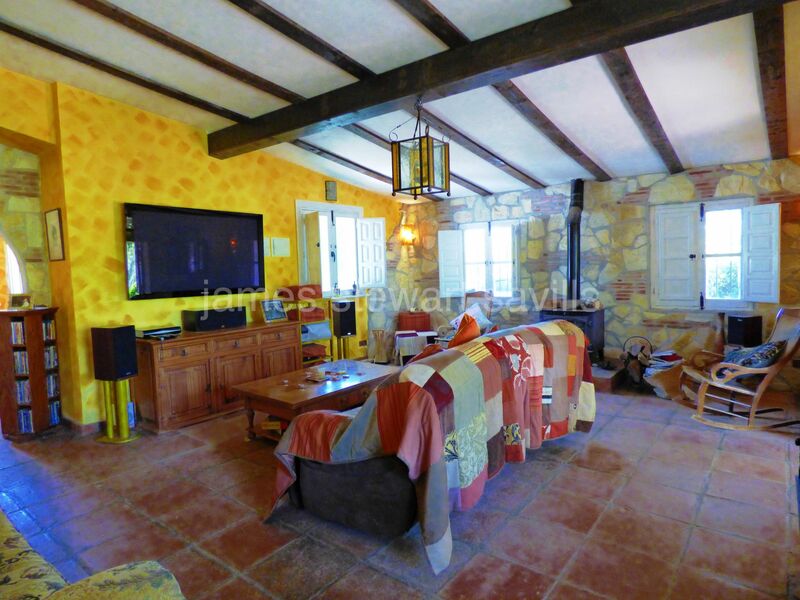 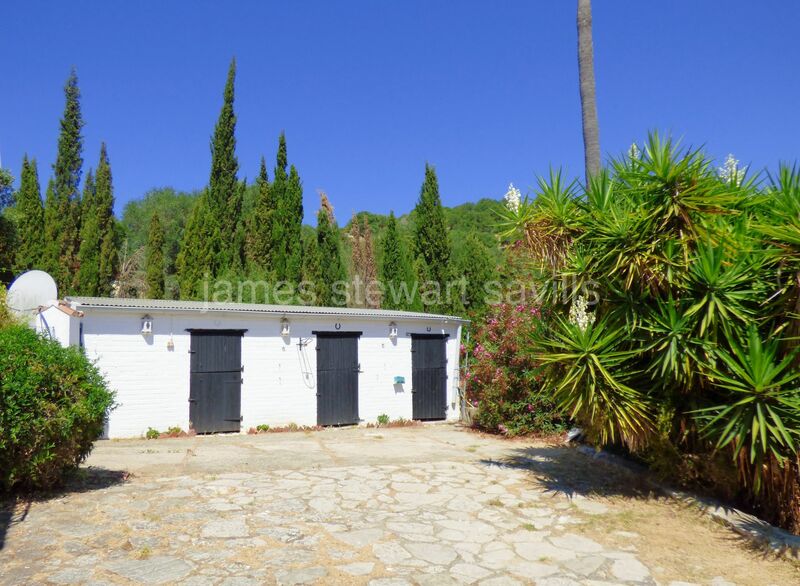 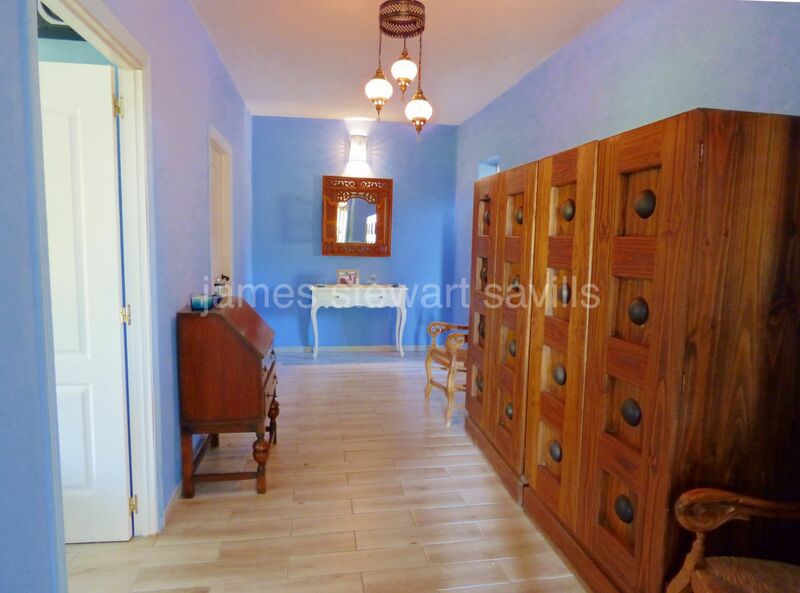 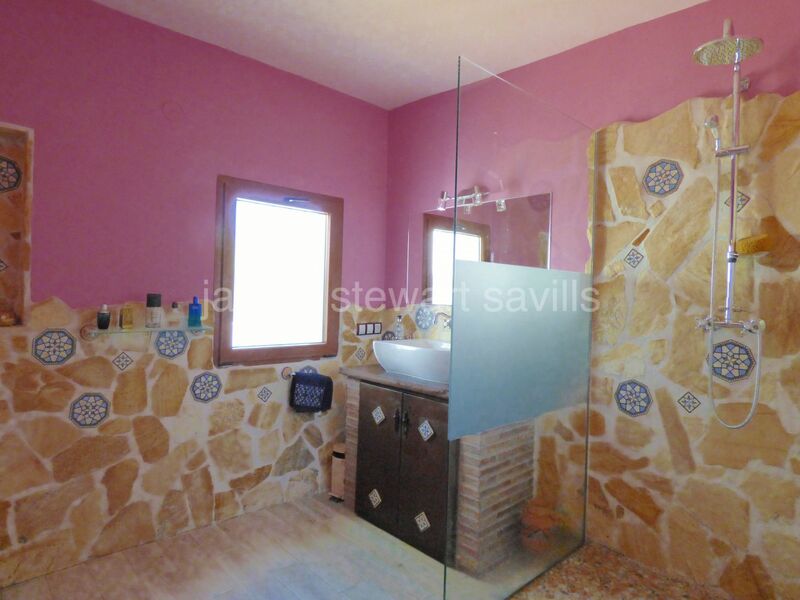 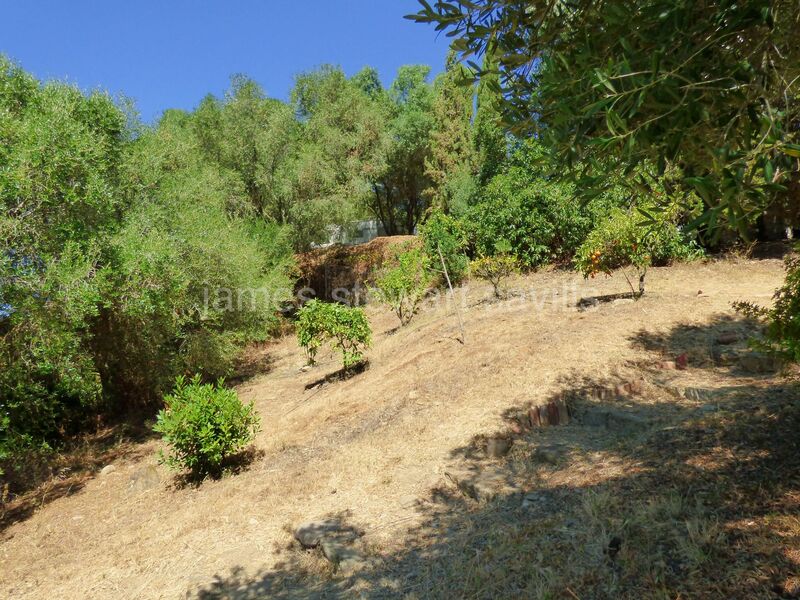 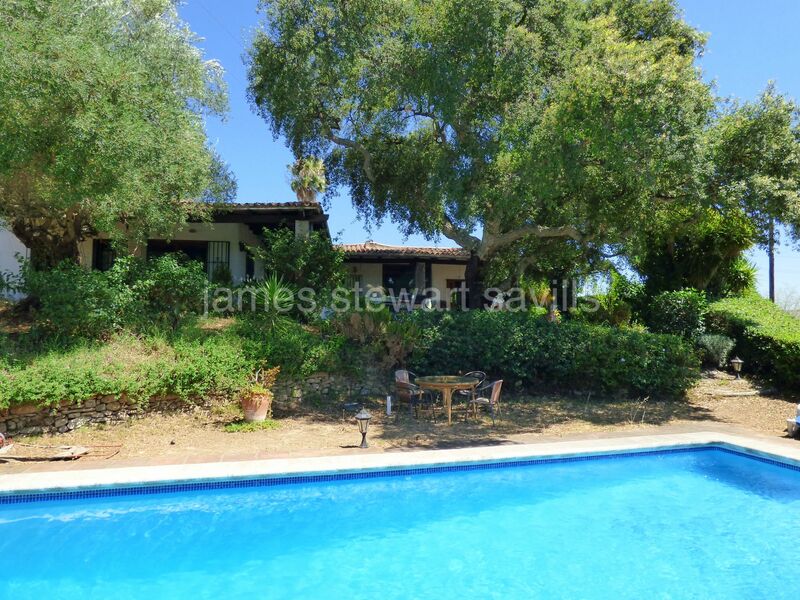 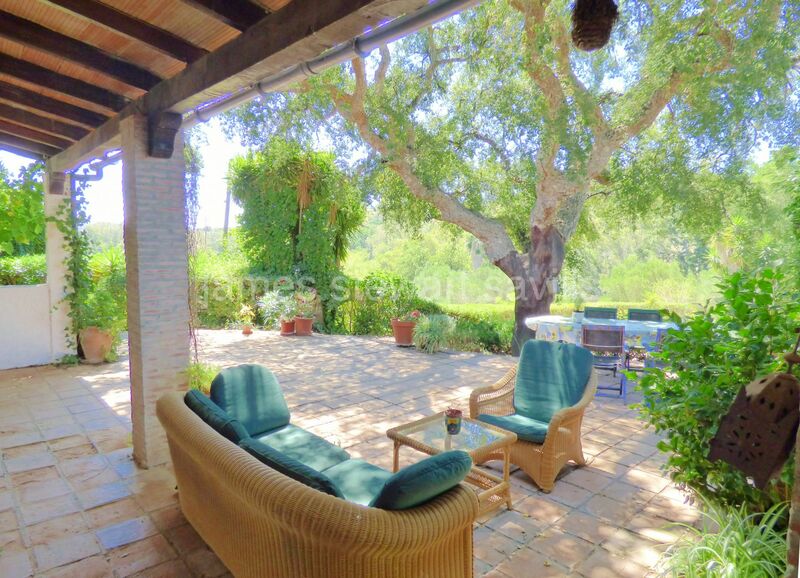 A very charming country house in the area of San Martin de Tesorillo about 15 mins from Sotogrande. 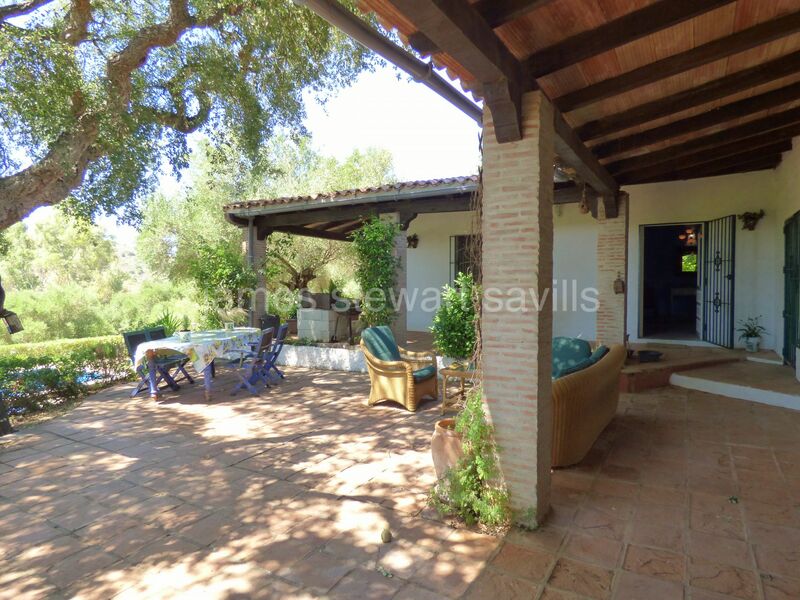 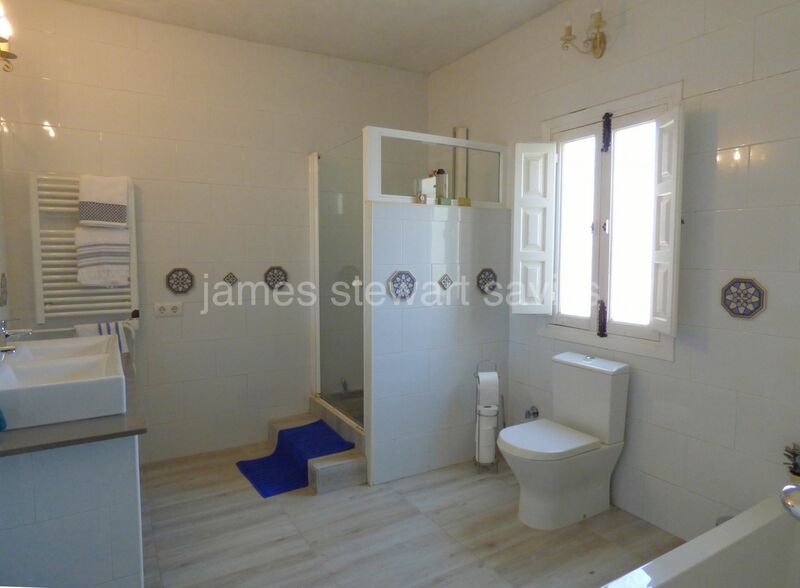 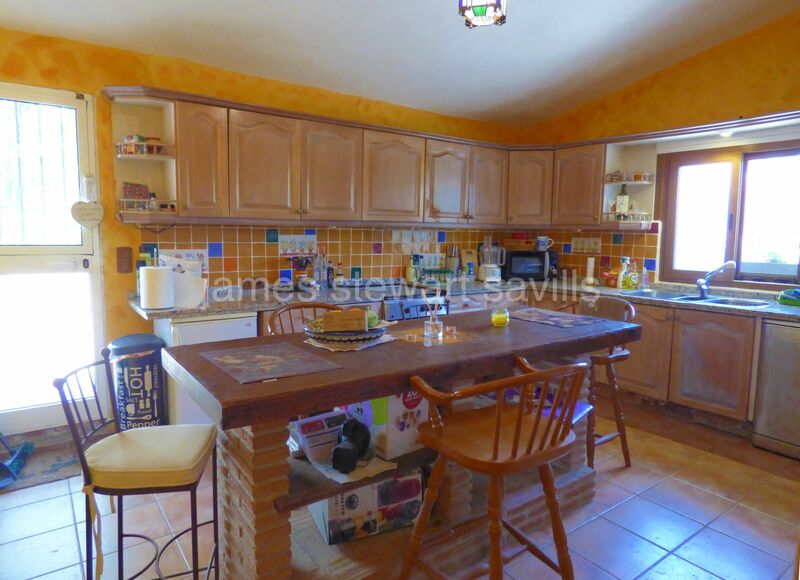 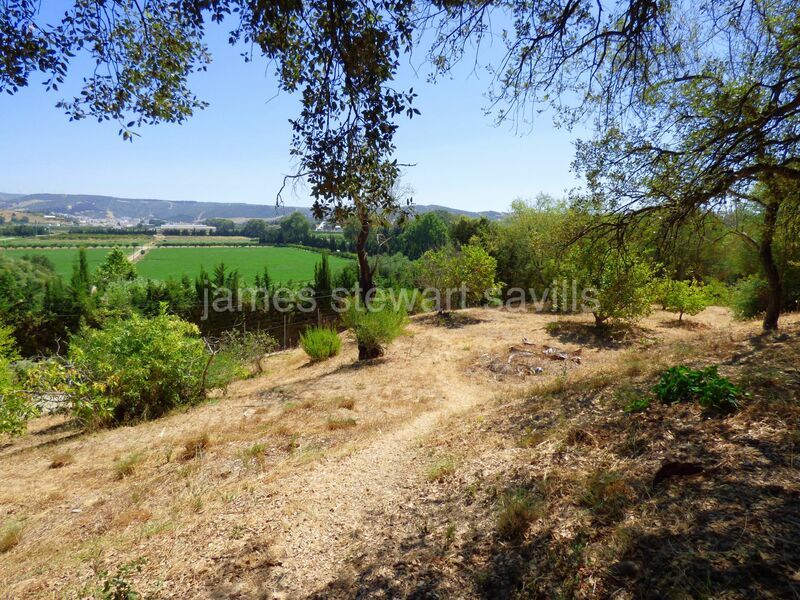 The house is discreetly located on an elevated position overlooking polo fields and the surrounding countryside. 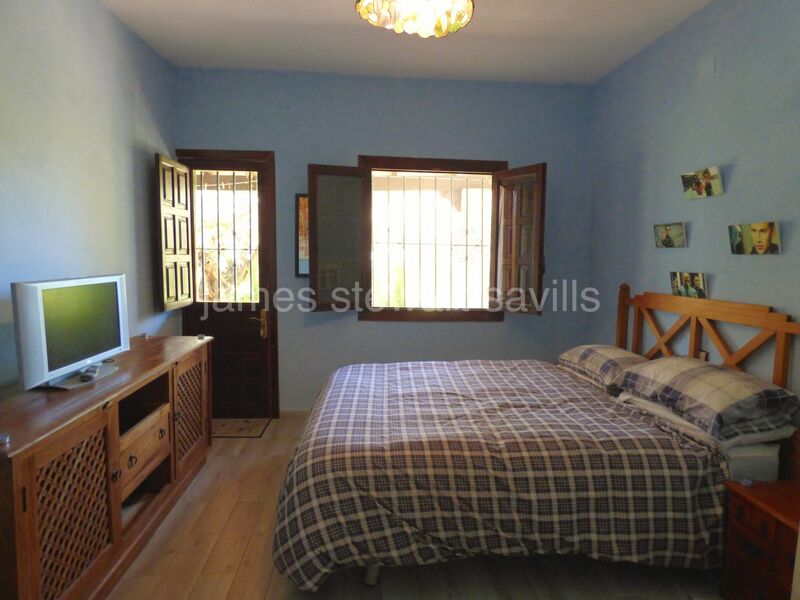 The house consists of a large beamed ceiling living room with wood burner, good size kitchen with adjacent dining area, master bedroom with shower, independant access to a section with 2 bedrooms which share a bathroom with shower. 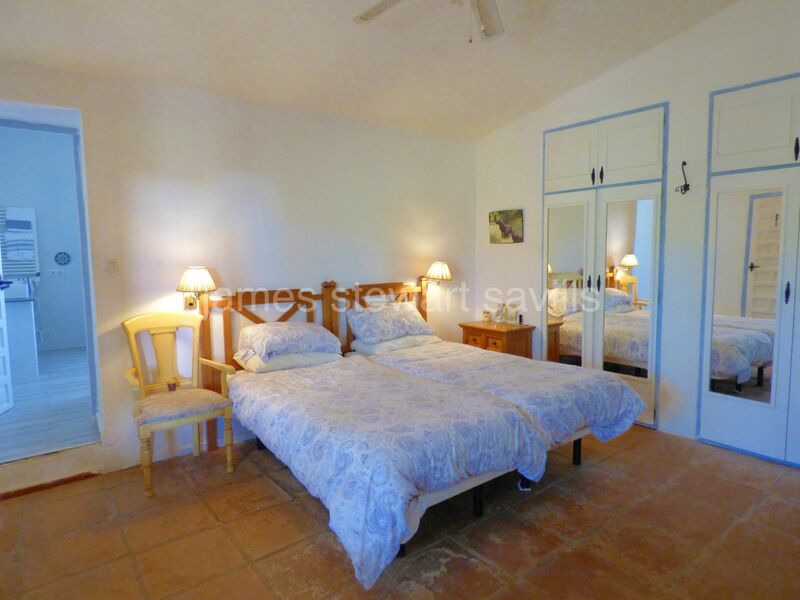 All bedrooms and the liviing room access a very nice covered terrace area. 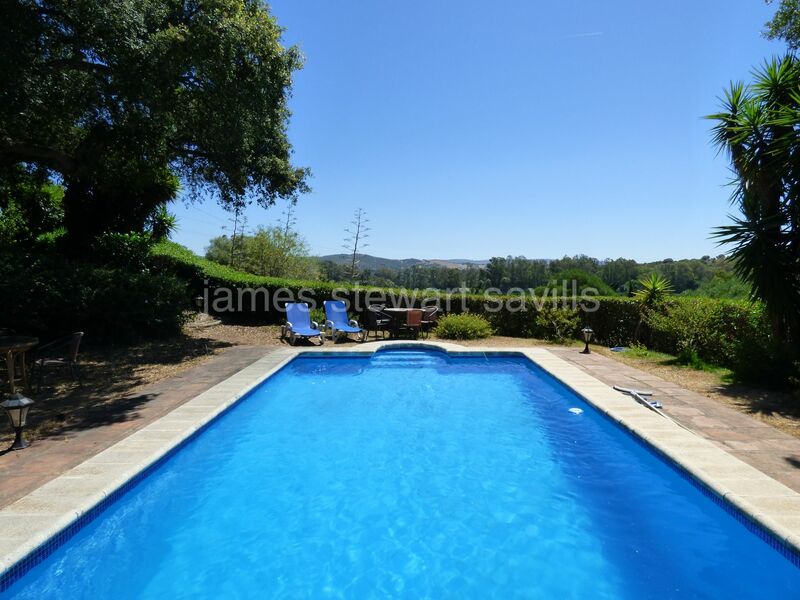 There is a good size swimming pool, parking for 4 cars, plenty of fruit trees and a 5 box stable block which is in excellent condition and dry.